En Masse announced that the second Wildhuter has hit in Closers – Soma! She wields a tonfa and harbors a deep hatred of the dimensional monsters. Soma delivers powerful attacks against her opponents, silencing them with heavy-hitting combos. Though she is ruthless in her destroying of the monsters, she also wishes to defend the innocent, using her dolls to bring smiles to those around her. 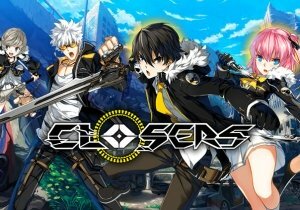 There is also a new Gleam campaign for Closers, running from October 30th at 10 am PDT and running through November 13th at Midnight PDT. he grand prize winner will receive a Razer Blade 15 laptop, the 2nd prize winner will get 15000 EMP ($150 value), and 25 runners-up will get a game pack for their game of choice.